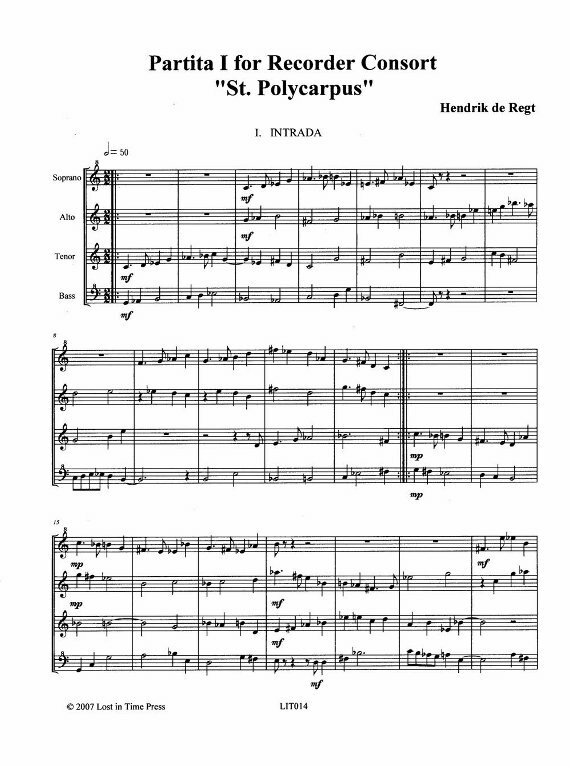 LIT014, de Regt, Partita I for Recorder Consort "St. Polycarpus"
We asked De Regt for an SATB piece. This is his first partita for recorder consort. Again, an outstanding contemporary suite in nine movements. Written in contrapuntal style. An intriguing mix of traditional form with modern tonality. Each dance movement has the rhythm, meter, and tempo of the traditional dance form. Movements may also be performed separately.